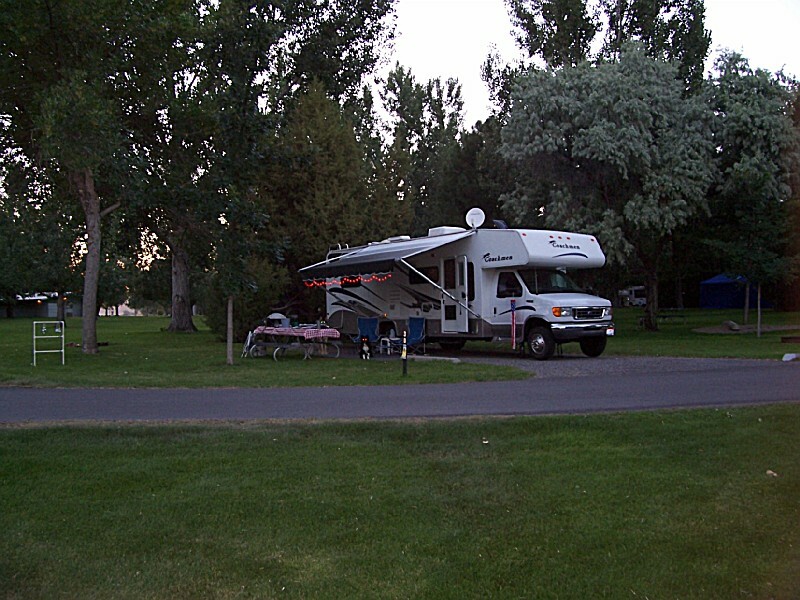 Three Island Crossing State Park is located on the Snake River at Glenns Ferry. It is home to The Oregon Trail History and Education Center where visitors can learn about pioneer emigrants and Native American history. Oregon Trail pioneers knew this spot well. It was one of the most famous river crossings on the historic trail. Pioneer travelers used the three-island crossing until 1869, when Gus Glenn constructed a ferry about two miles upstream. The Glenns Ferry community sponsors a crossing commemoration the second Saturday of each August. Events often include living history presentations and historic skills fair. Reservation Season: Reservations are available year round for cabins in the Day-Use Area and Wagon Wheel (Upper) Campground. Reservation for cabins in Trailside (Lower) Campground are accepted April 1st through October 31st. 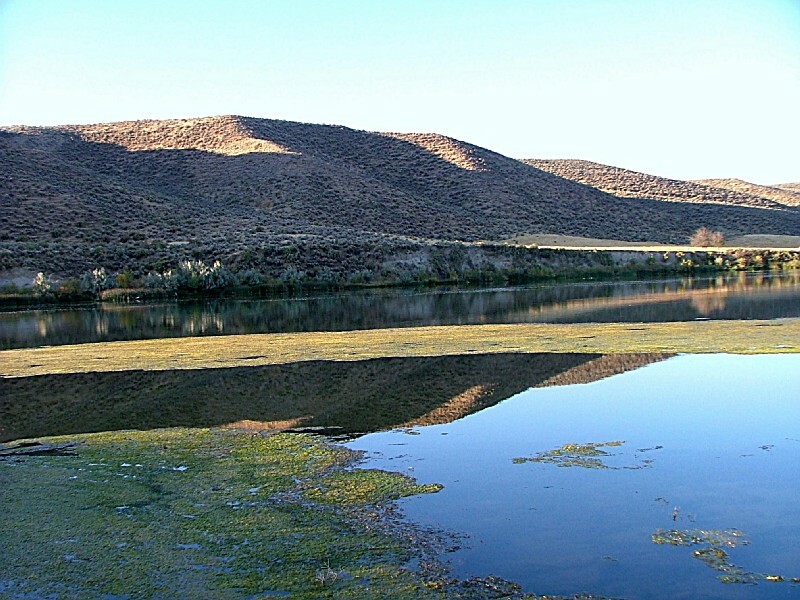 Amenities include individual campsites with water and electricity, and central showers and restroom facilities. 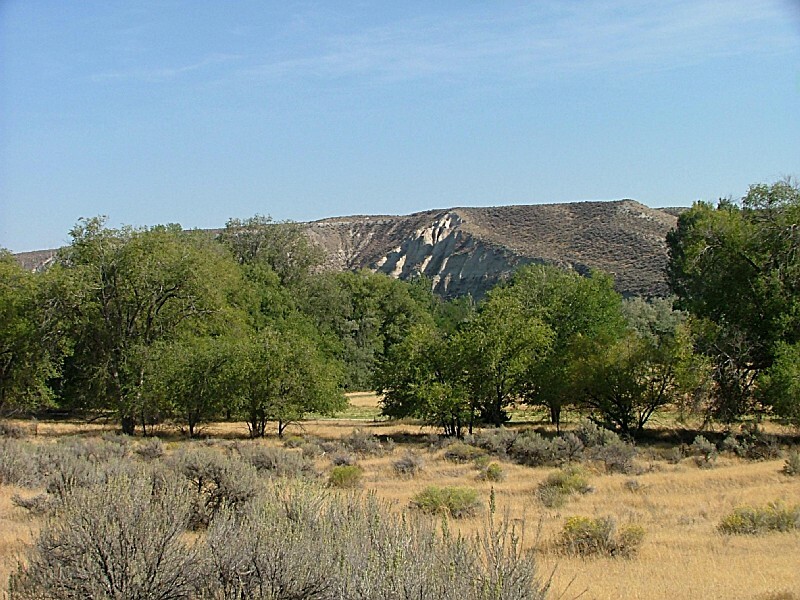 Reservation Season: Reservation are available in the Trailside (Lower) Campground from March 15th through October 31st. Camping is available throughout the off-season on a "first come, first served" basis. Reservation Season: Reservations are available in the Wagon Wheel (Upper) Campground from April 1st through October 31st. Camping is available throughout the off-season on a "first come, first served" basis. For groups wishing to book multiple sites (seven (7) campsites or more) Trailside (Lower)Campground is available: multiple site reservations for seven (7) campsites or more must be made through the call center at (866)-634-3246. The trail played a significant role in the exploration and settlement of western America. 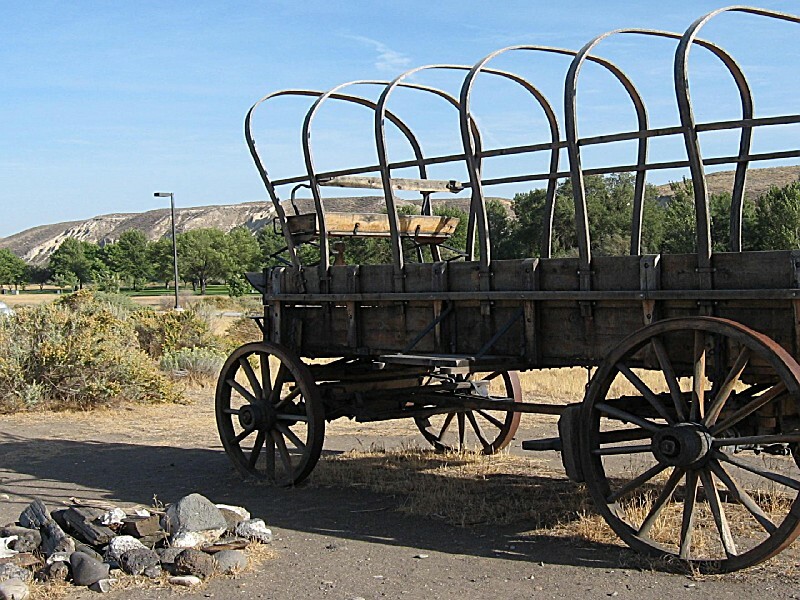 The original course of the Oregon Trail was from Independence, Missouri to Oregon City in Oregon's Willamette Valley. Most pioneers traveled the trail from 1841 through 1848. However, fur trappers and explorers used the travel corridor as early as 1811. By the mid-1860s, the trail was used little as an emigration route. The Glenns Ferry community sponsors a crossing reenactment the second Saturday of each August. Events often include living history presentations and a historic skills fair. Contact the park for details of this year's event. Modern travelers will find a stay at Three Island Crossing much more hospitable than did the pioneers. 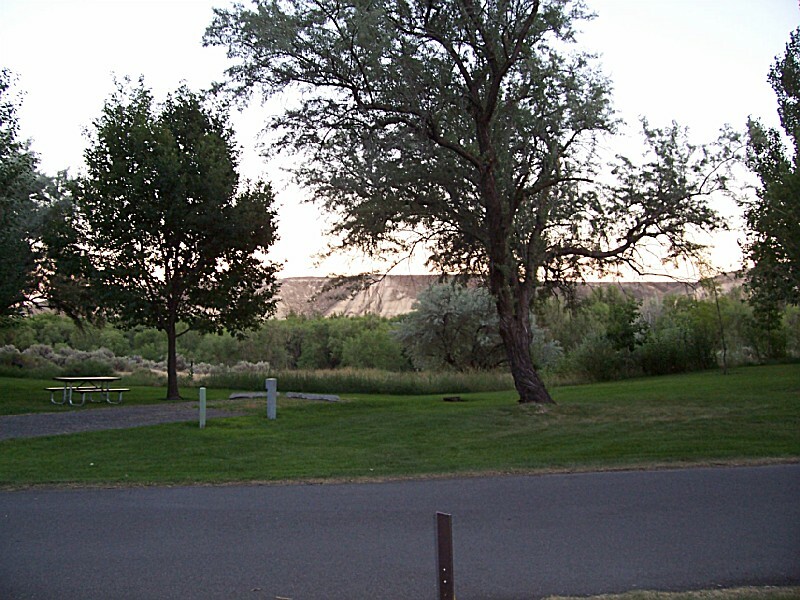 Located just off Interstate 84 at the Glenns Ferry exit, the park offers a full-service campground, cabins, picnic areas, historical interpretive programs and a fascinating admission-free interpretive center. 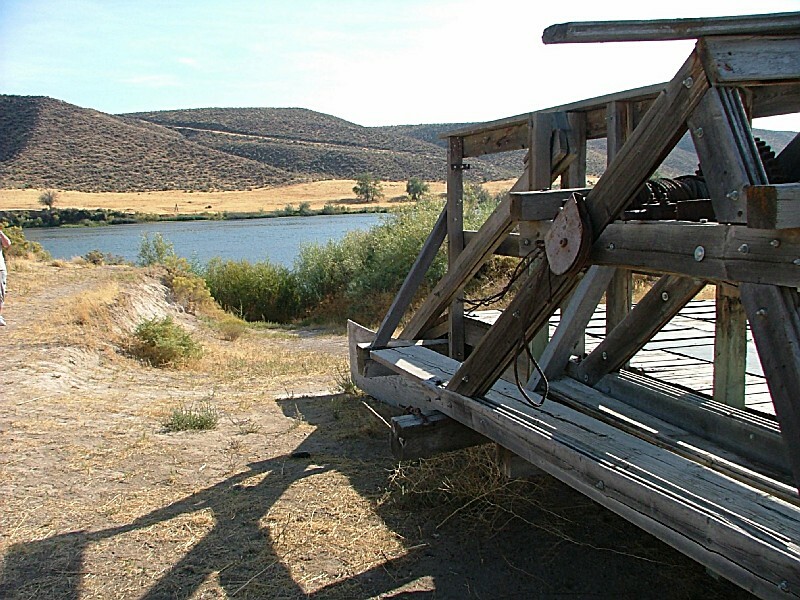 You can take the self-guided tour, see the replica wagons and dangle your feet in the Snake River where emigrants made their historic crossings. Great views of the Snake River, Trees offer abundant shade even in the heat of the summer. Great facilities. We loved the history and want to come to the next reenactment of the crossing.